Below are the configuration instructions for various mobile devices, routers and operating systems as well as steps to test your set up once you have made the required configuration settings. 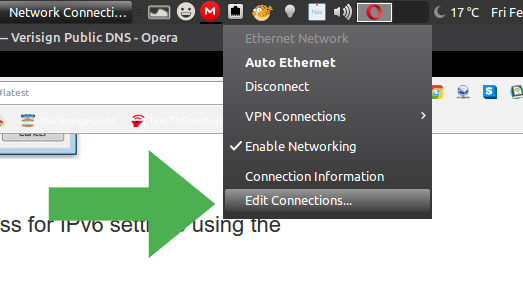 • Open Network Connections by clicking the Start button and then clicking Control Panel. • In the search box, type adapter. • Then, under Network and Sharing Center, click View network connections. • Right-click the connection that you want to change, and then click Properties. • If you're prompted for an administrator password or confirmation, type the password or provide confirmation. • Click the Networking tab. 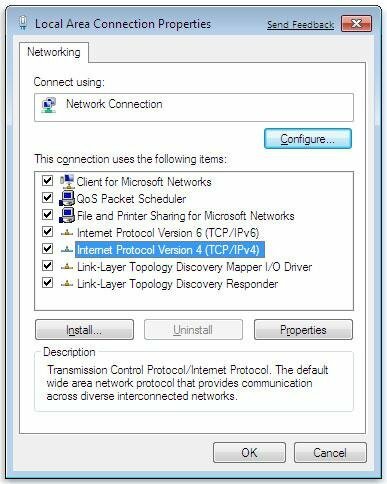 • Under This connection uses the following items, click either Internet Protocol Version 4 (TCP/IPv4) OR Internet Protocol Version 6 (TCP/IPv6), and then click Properties. •	To specify a DNS server address, click Use the following DNS server addresses, and then, in the Preferred DNS server and Alternate DNS server boxes, type the addresses of the primary and secondary Verisign Public DNS servers. •	If you're prompted for an administrator password or confirmation, type the password or provide confirmation. 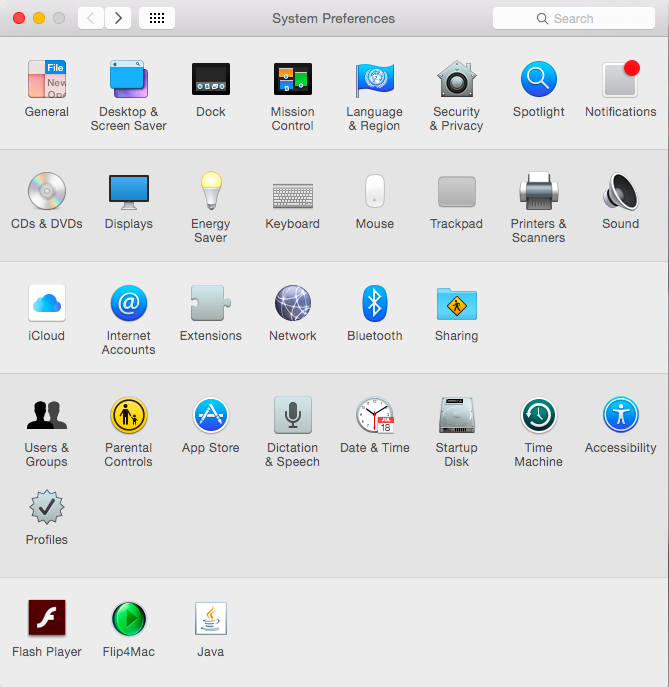 •	From the Apple menu, select System Preferences. The window shown below appears. 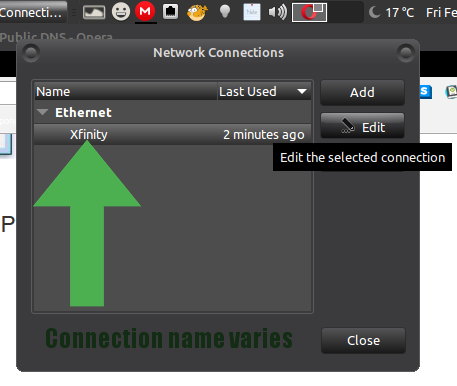 •	Select a network interface from the sidebar. •	By default, your primary network interface is selected. 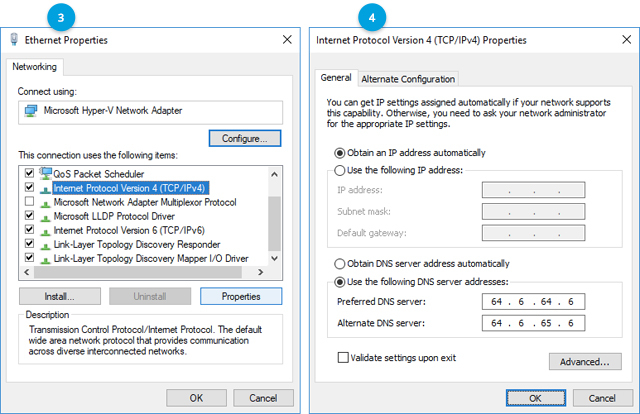 If you use more than one interface to connect to the Internet, use these instructions to update the DNS servers for all of the interfaces. •	Click the + button to add a new DNS server. Any existing servers may be removed from the list when you hit add. This is expected as you are replacing the default server(s). •	Click System > Preferences > Network Connections. 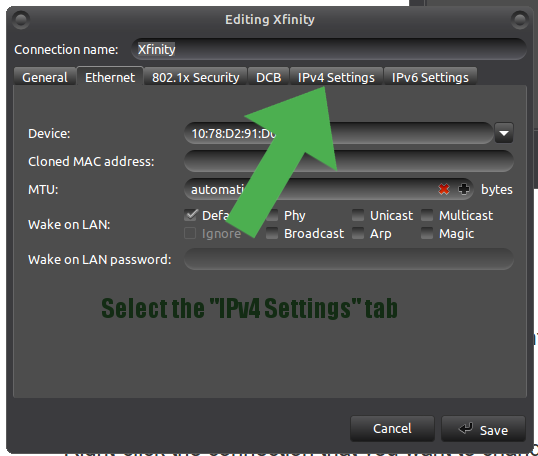 •	Click Edit - In the window, select IPv4 Settings or IPv6 Settings tab. •	Click Apply to save the change. •	If your distribution doesn't use Network Manager, your DNS settings are specified in /etc/resolv.conf. 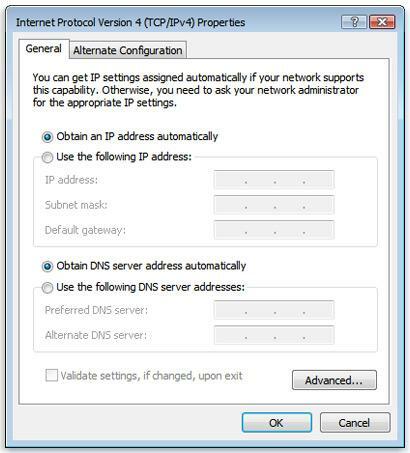 Generic Procedure for configuring DNS server settings on your Router. Each router has a different user interface; please consult your router documentation for details. 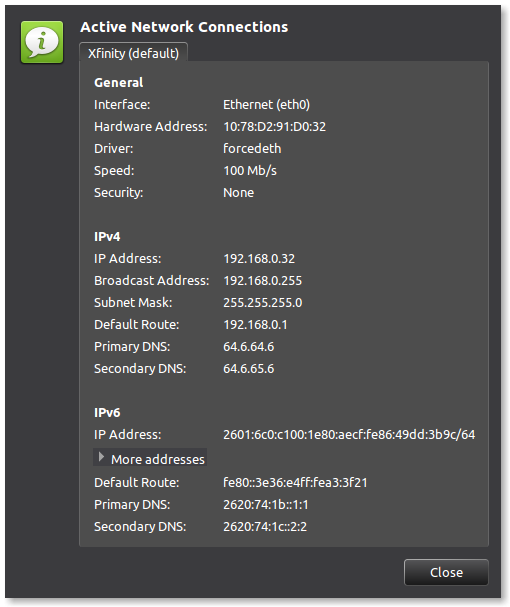 •	Access your Router's administration console using a browser. •	Based on your configuration, you may be required to enter a password to access the console. •	Look for the screen where DNS Server settings are specified. 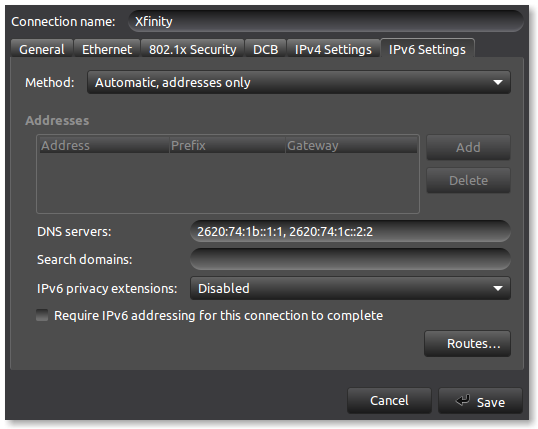 •	Note down the existing IP addresses (for future reference) specified in the primary DNS and secondary DNS fields. Generic Procedure for configuring DNS server settings on your Mobile Device. DNS settings are usually configured under the Wi-Fi settings section; please consult your mobile device/provider documentation for details. •	Access the Wi-Fi settings screen on your mobile device. 1. Clear your browser cache. 2. In your browser address bar, type http://www.Verisign.com/. If it resolves and you see the Verisign home page, the new settings have been successfully applied. 3. If it does not resolve correctly, roll back the DNS changes you made and try steps 1 and 2 again. 4. If the resolution still does not work there may be a problem with your network settings, please contact your ISP or network administrator for further assistance. Switched from Norton Connect to VeriSign DNS, so far works great and fixed my IPv6 issues I had. I am using Windows 10, 64-bit system. I switched to VeriSign DNS instead of getting DNS address automatically. But, it did not help in getting access to the website https://www.onlinesbi.com. Can you suggest any solution? Thanks. Thank you for your inquiry. We will investigate. Please conduct a nslookup or traceroute to the website, www.onlinesbi.com to confirm if you are getting any response from the website. Are you experiencing the same issue as user jbala43? Please conduct a nslookup and traceroute via CMD if you are using Windows, and provide us with the outputs. Please also let us know if you are seeing any error message when you try to access the website https://www.onlinesbi.com via browser as well as the browser used. 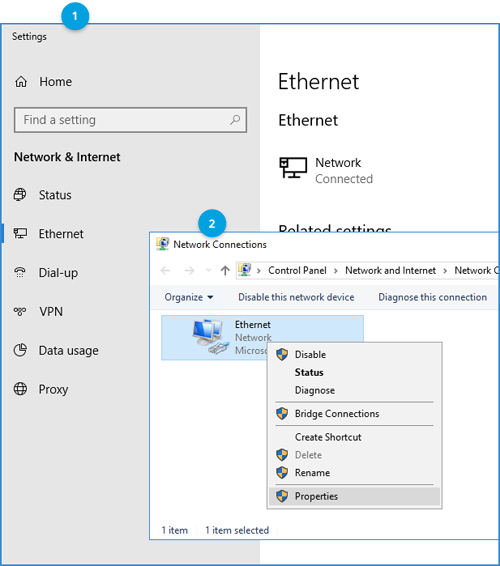 Click on “Enable Networking” and wait a few seconds until you see a disconnect notification. Click on “Enable Networking”, you will get a confirmation after a few seconds that you are connected. You should now be using Verisign Public DNS; try visiting verisign.com to check if all is working. 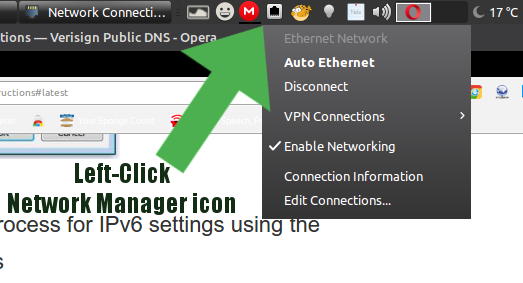 You can also review your new network settings by left-clicking Network Manager icon and clicking on "Connection Information"
ya los dns de ipv4 . Hope the above information helps! We are not the manufacturer of Linksys Routers, we do not know if there is a product guide in your language or not. Please contact Linksys support to see if they have a product guide in your language. 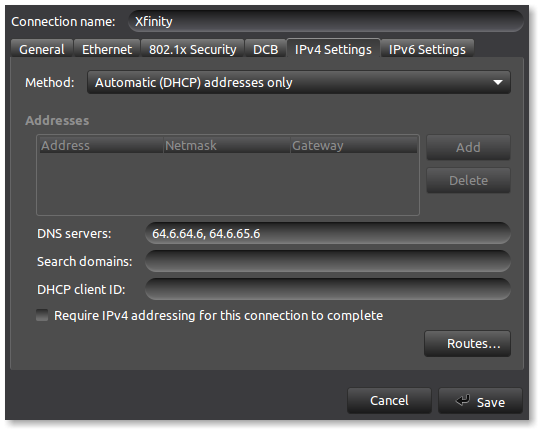 should i change the DNS, IP, both? You need to change to the DNS IP Address as mentioned in the configuration instructions. You may try to use just one if this is the only option you have but we perform maintenance on the VIPs as needed so it's important to configure both. What I would suggest is to configure one for now then perform the test specified on "Testing your Verisign Public DNS Settings" section to make sure that you are connected. You can always switch between the IPs if this is the only option you have at this point.